The magical world of Alyria is a complex one; the same underlying forces that create the effects known as magic can be tapped in varied ways, producing many different disciplines of the occult and spellcasting. For instance, Wizards will call upon the ethereal forces using combinations of reagents (ingredients designed to fuel a spell), speech (words and inflection), and/or somatic movements (hand and arm movements, as well as body stances). Druids, on the other hand, can call upon elemental forces present in the physical plane and channel them through their bodies by using will power alone, although they cannot produce as complicated and specific an effect as the Wizard. There are several different schools among which the proficiencies and spells are divided. Schools are a way of classifying the tangible aspects of a spell or proficiency, and while some spells may seem to overlap schools, there is generally one main school in which they fit the best. Most magical spells start out scribed with magical ink on specially-prepared paper. These are known as SPELL SCROLLS. Scrolls can be USEd directly to swiftly cast a spell once with the MAGICAL ITEMS proficiency, and do not require reagents in those cases. Spell scrolls can also usually be SCRIBED into SPELLBOOKS, in which case the spell can be cast again and again. Once directly cast, or scribed into a spellbook, the scroll will disappear. 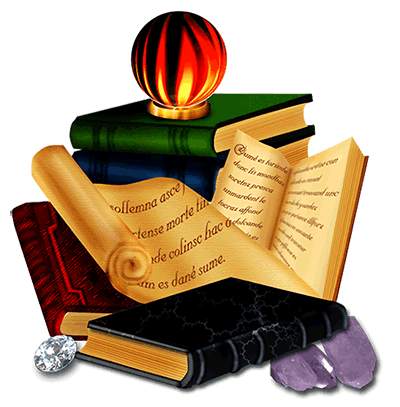 Spellbooks are collections of magical spells. These books themselves have power, but in order to successfully cast a scribed spell without causing the spell to disappear from the spellbook (the same way it does when a spell scroll is used), magical reagents, verbal intonations, and somatic gestures are often called for. Before casting a spell scribed in a spellbook, it is usually necessary to MEMORIZE the spell. Once the spell is memorized, it need not be memorized again until the spell is forgotten. A memorized spell will remain in the caster's memory for a certain period of time, based on the level of the caster and the difficulty of the spell. One common similarity among most of the magic-using classes is the requirement of REAGENTS. Reagents are the ingredients that make up most powerful magics; they are specially-prepared substances capable of producing reactions when combined with other reagents and the binding forces of the ethereal plane. Reagents are required for many spells, as they provide additional power and definition in a spell's outcome. Magic users can attempt to cast some spells without reagents, and in cases where the will and power of the caster is strong enough, may succeed. Wizards are powerful and versatile magic-users. They utilize scrolls, spellbooks, and reagents in their magic. To activate their spells, Wizards use the CAST command. Witches prefer the more subtle arts of hexes, jinxes, and curses; however they also specialize in conjuring and controlling spirits. They utilize scrolls, spellbooks, and reagents in their magic. To activate their spells, Witches use the CAST command. Druidic magic is closely attuned with the natural world, and invoke or evoke primal elemental forces to produce effects. While Druids have no need for spellbooks and scrolls in order to cast their spells, they do utilize reagents in their magic. Druids use the INVOKE and EVOKE commands. Priests worship a specific Powers and can channel the holy energy to produce miraculous effects in the world. They utilize scrolls, spellbooks, and reagents in their magic. To activate their spells, Priests use the CAST command. Shamans are very similar to Priests in that they can call upon a lot of the same Powers and can produce similar effects. They utilize scrolls, spellbooks, and reagents in their magic. To activate their spells, Shamans use the CAST command. Psionics are practiced in the powers of the mind and as such can produce most of their effects silently (before the target realizes they are casting). Psionic magic does not require the use of scrolls, spellbooks, or reagents, since the power comes directly from the mind of the Psionic and not external forces. To activate their spells, Psionics use the CAST command. Rangers are closely attuned to the cycles and voices of nature, and can make use of many Wizard spells as well as herbalism. They utilize scrolls, spellbooks, reagents, and herbs in their magic. To activate their spells, Rangers use the CAST command. To produce magical herbal mixtures, Rangers make use magical herbs, a mortar and pestle, and the MIX command. Paladins are holy knights and while their primary focus is spiritual salvation, they have some of the same powers as Priests and Shamans, as well as a few skills known only to Paladins. They utilize scrolls, spellbooks, and reagents in their magic. To activate their spells, Paladins use the CAST command. Bards make use of a special form of musical magic, in which they produce effects through magical instruments (and in some cases, rhyming vocals). Bards require a musical instrument for their magic, and use the PLAY command to produce effects. Monks have magical training in both wizardly magic and herbalism magic, but limit their expertise to fewer effects in order to hone their fighting skills as well. They utilize scrolls, spellbooks, magical herbs, and reagents in their magic. To activate their spells, Monks use the CAST command. To produce magical herbal mixtures, Monks make use magical herbs, a mortar and pestle, and the MIX command. Druids can INVOKE or EVOKE elemental powers to protect them during battle, harm opponents, and create other magical effects. Different elements do different things when invoked or evoked. Invocations and Evocations draw upon the spell power of the druid. In order to successfully evoke the elements, druids must have the appropriate reagent on hand, or combination of reagents. The quasi and para-elements, such as ice and radiance, require more than one reagent in order to evoke successfully, as they are actually combinations of the four main elements of earth, air, fire, and water. Making magic through the use of musical instruments and specially-formulated mantras is the domain of the Bard. Similar to casting a spell, bards are able to shape the forces of magic through the vibrations of their songs and cause an effect in listeners, using the PLAY command. The power of the song can also be modified depending on the musical instrument on which it is played. Allowing the bard to go beyond the ranges of his voice, the musical instrument serves to enhance the strength of the vibrations that are used to create magical effects. Instruments range from the very simple: such as a practice lyre, to the very complex: such as the legendary hand-carved viola, a very high-level and high-powered creation. Vendors selling instruments, as well as opponents one can combat for their instruments, can be found in most major townes. Bards can play up to 21 different musical notes - A B C D E F G (whole notes), A# B# C# D# E# F# G# (sharp notes) and Ab Bb Cb Eb Fb Gb (flat notes). While the musical notation is similar in transcription to more traditional music, Bards are able to produce special sounds that go beyond the effects of ordinary music. By using a musical instrument such as a lyre or harp, bards can cause magical harmonies. Trained from birth, the music of a true bard is an amazing thing to hear. At least three, and up to seven notes can be strung together to create a magical effect - too many notes and the combination becomes unstable, and has been known to result in lethal backfires of the harmonies. The whole notes - A B C D E F G - have heavier weight than sharps and flats. Depending on the order in which they are played, the notes may have lighter or heavier weights. The ability to conjure more complex magic depends on the musician's skill level and the complexity of the instrument with which he shares his music with the world. Herbalism is a powerful proficiency of Rangers and Monks that enables them to create magical powders. 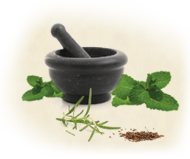 Different herbs of varying strengths are combined to form mixtures using the MIX command and a mortar and pestle. Mixing herbs together will create powders that are either throwable or edible, depending on the effect the herbalist wishes to achieve. The herbs by themselves have some power, but it is the concentration and visualization of the herbalist during the mixing process that gives them the ability to create magical effects. Most herbs can be found and bought in any herbalist shop. There are shops are in Xaventry, Rune, New Rigel, Sigil and Lowangen, and several other locations. The rarest herb known is called sedum rosea. It is said that when mixed in when creating an herbal mixture, the sedum rosea prevents the mixture from decaying before being used. To MIX herbs into a workable combination, you must have a mortar and pestle in your hand and the herbs you wish to combine in your inventory. Herbs can be found at many shoppes throughout the various townes of Alyria. Only one herb of a type can be used. So, if one is using celidonia, only one can be used, but up to six other herbs can be mixed with it. With mortar and pestle in hand, one wishes to create a glimmering white herbal mixture ("cure light"). Buy a provinca sprig and a celidonia sprig, then type MIX CELIDONIA PROVINCA. If all goes well, a glimmering white herbal mixture will be in the inventory waiting to be eaten. If the mixture is too powerful to contain in the mortar and pestle, there can be dire - often explosive - consequences.